People in Tampa rely on their doctors to properly determine the nature of their illnesses or injuries. Yet over twelve million Americans are misdiagnosed every year. Usually, misdiagnosis involves the failure to properly detect a serious illness. Other patients receive “bad news” about diseases they do not really have. Overall lack of information may be the root of the problem. In many cases, doctor-patient interaction is almost nonexistent. According to some studies, doctors listen to their patients for less than thirty seconds before they interrupt them. Additionally, many doctors do not order a full battery of tests. They are afraid that the insurance company will not pay for all these procedures. The combination of little data from the patient and little hard evidence from tests often leads to misdiagnosis in Florida. Damages in these cases usually include compensation for both direct and indirect losses. Additionally, many Hillsborough County jurors award substantial punitive damages in medical negligence cases. A cap may apply in some instances. Many doctors associate cancer with certain risk factors, such as lifestyle issues or family history. For example, doctors almost never diagnose lung cancer in nonsmokers. This reluctance is especially a problem when it comes to mesothelioma and other asbestos-induced cancers. Severe chest pains are the signature symptom when it comes to heart attacks. But many patients, especially women and some older people, either only have mild chest pains or none at all. Without this key indicator, many doctors misdiagnose heart attacks as simple indigestion. The failure to detect heart disease, like the failure to diagnose cancer, obviously has drastic consequences. Thousands of Floridians suffer strokes every year. Yet despite the widespread nature of these incidents, doctors normally associate them exclusively with older people who are already in rather poor health. Absent these risk factors, strokes may be misdiagnosed as vertigo, severe migraine headaches, or even alcohol intoxication. Many times, the breakdown here is a failure to distinguish between situational and clinical depression. Because of their brief interaction with their patients, some doctors do not appreciate the full extent of the patient’s condition. The added failure to order tests makes this problem even worse. Much like strokes and other forms of heart disease, doctors often mistake pulmonary embolisms for digestive and other such problems. According to one study, hospitals send about a third of pulmonary embolism patients home without proper attention. If left untreated, these blood clots are often fatal. This genetic condition is basically a severe allergic reaction to gluten. It inflames the intestine and prevents absorption of key nutrients. Although this disease has severe chronic consequences, many doctors insist that these patients simply have indigestion or perhaps irritable bowel syndrome. Since it is somewhat rare, Lyme Disease is also one of the most commonly misdiagnosed conditions. The symptoms, including generalized pain and joint stiffness, are rather vague. As a result, many people suffer with Lyme DIsease for well over a year before they are properly diagnosed. Misdiagnosis clearly falls below the standard of care in medical negligence cases. 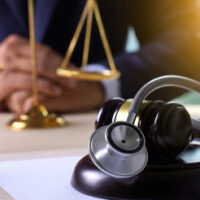 For a free consultation with an experienced medical malpractice attorney in Tampa, contact The Matassini Law Firm, P.A. Home and hospital visits are available.